We have 4 kids so we need to be intentional about organizing them with their weekly chores or it will just all pile up and nothing gets done! With the summer ending, a new house to keep up, and the school year about to begin, we are on full planning mode. I asked the boys to give me their favorite chores to do, so that I can include them on their list. There you have it folks! looks like we have some coaching to do. Or this house will be an absolute disaster. You see, this summer our family has been through a lot. We moved two times, we traveled overseas and there was also the loss of a loved one. So all of our routines, and usual things are gone, in their place, we have chaos and stress and also never enough hours in a day! But I know that if we manage our time better and have an actual plan for each day, life will start to flow and somehow feel normal again. The good thing is that kids are flexible and quick to learn. Will you join us in this journey? Can you also use some deep breaths? 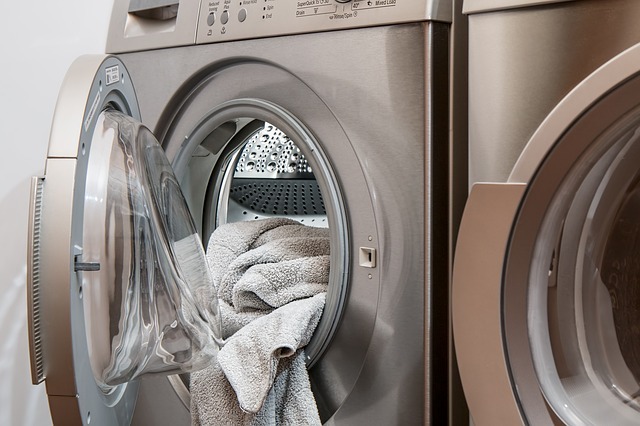 I know that some days, it will feel like your chores are doubled, because you have to get at their side and help them develop that good habit of cleaning or organizing or completing a task. But I can’t encourage you enough to stick with it! what seems now like a messy tiring maybe pointless use of your time, will later show in your child’s character, and it will also feel so good when they can be in auto-pilot and you will have to give minimal instructions. 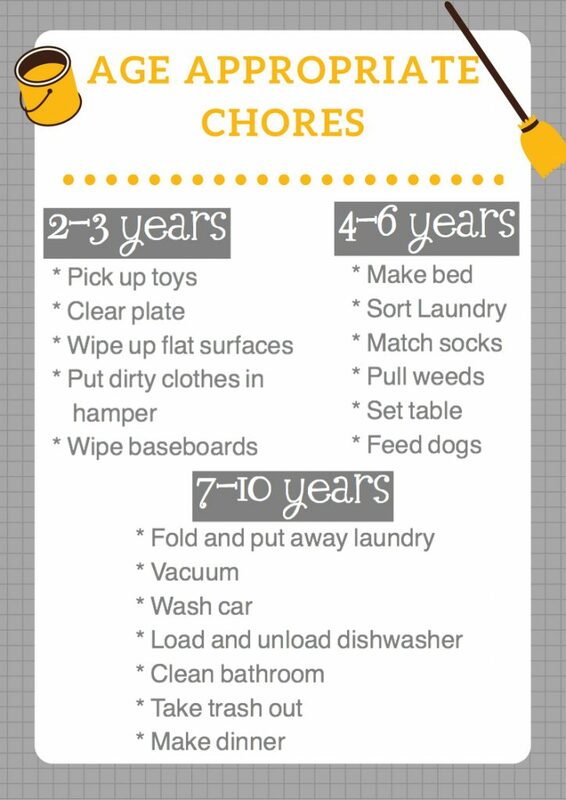 Do you often wonder how to get your children going with their chores? Or what chores are appropriate for their ages? I’ve done some research and came up with a list that is pretty general, and also it works for us. So I wanted to share it with you in hopes that it will help make the weekly routine smooth. Remember that each child is different, and even though they might be on a particular age group, he or she might not be ready for a chore just yet. But be patient, and be there to teach. You will be amazed at how quickly they will learn. 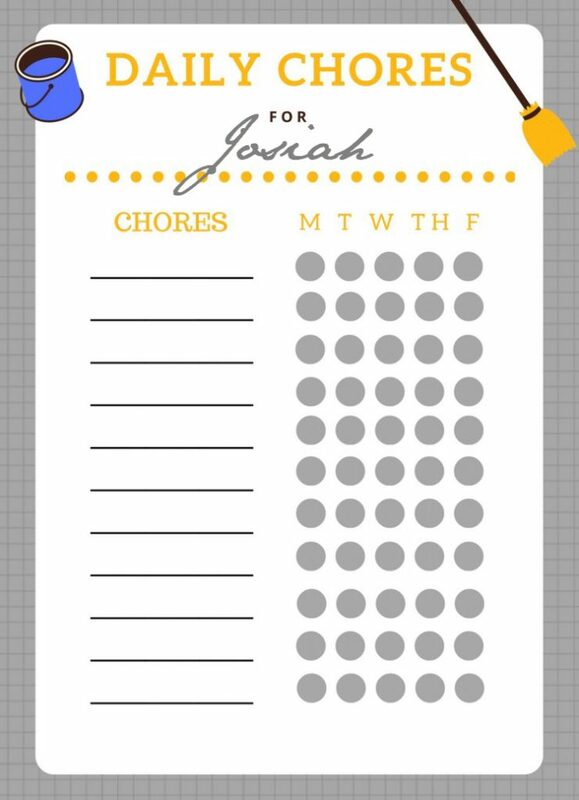 Now another great thing is to have a chores chart! Kids love to keep track of their success! So it makes it exciting to mark a chore as done each day. You can have them put a tiny sticker on it or simply draw a check mark on it. This is a simple chart that I created for my boys. you can download it and print it for free to use with your own children. just add their name on the dotted line and have fun! Click on the photo to download your chart. Let’s stay connected and encourage each other on this! Pin this post and come tell me how things are going! My youngest helper and his best friend! I’m hoping we can come up with a new favorite chore for him. You can get this adorable doll and others here. Thanks for those sheets! Kids should always be involved. Yes always! Hope you use the charts! Thank you so much! I hope they can use the charts! That a great post I must say. My girls are really independent and I try to assign them age appropriate chores. This is one way you can help your kids lean how to stay focused and do things on their own. Yes! Independent and efficient! 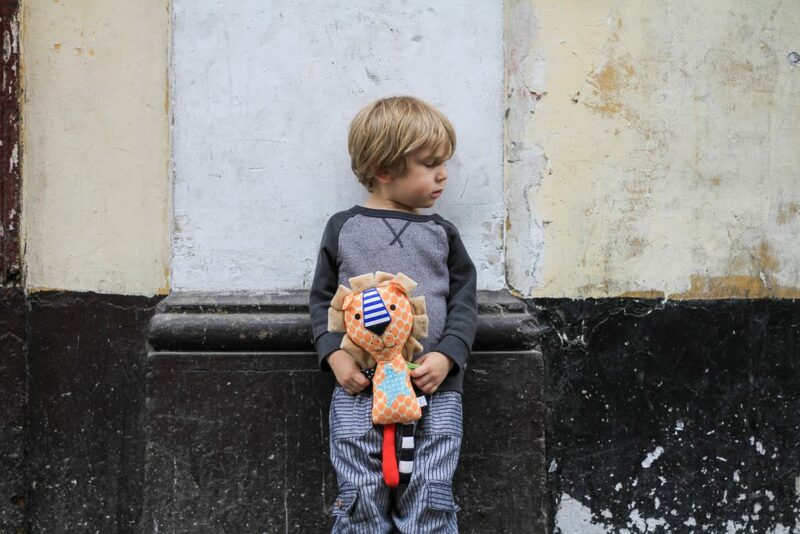 Great things for the Littles to be. Thank you!